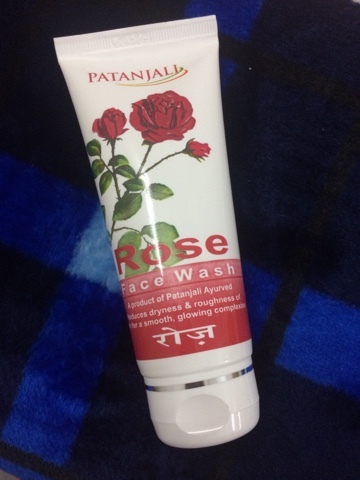 HEY GUYS...........M BACK WITH A REVIEW OF MY CURRENT FAVORITE FACE WASH. 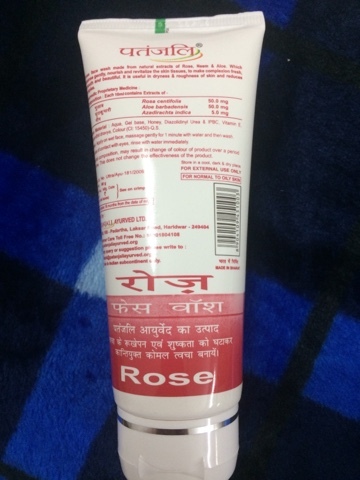 THIS IS THE ROSE FACE WASH BY PATANJALI. THIS IS MY 2ND BOTTLE OF THE SAME AND SO I DECIDED TO SHARE MY REVIEW WITH YOU ALL. 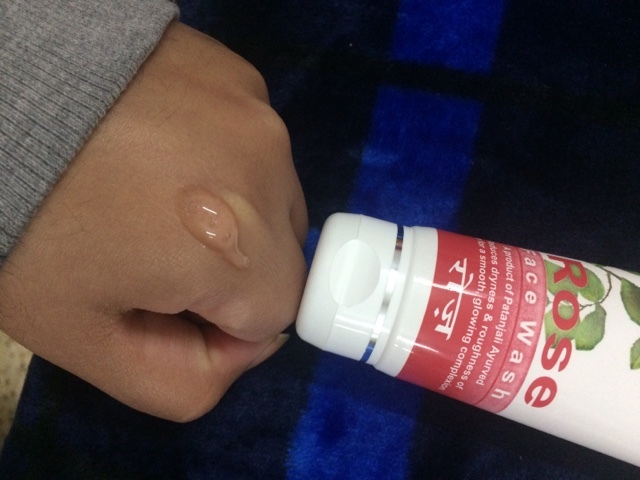 INGREDIENTS: ROSE, ALOE VERA, NEEM, AQUA,GEL BASE, HONEY, VITAMIN E, ETC. NOW COMING TO MY EXPERIENCE WITH THIS PRODUCT, TO BE VERY HONEST, I AM QUITE IMPRESSED WITH THIS FACE WASH. 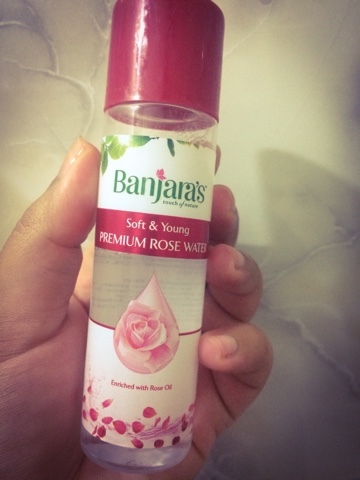 IT HAS A MILD ROSE SCENT AND A GEL BASED FORMULA WHICH IS VERY EASY TO APPLY. THE FACE WASH IS GREAT FOR ALL SKIN TYPES PARTICULARLY IN WINTER, WHEN THE OTHER FACE WASHES DRY OUT MY SKIN. 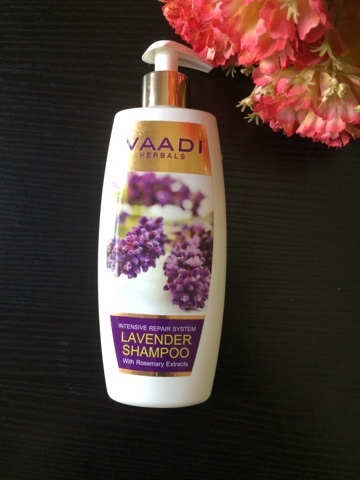 THIS ONE HERE IS VERY GENTLE AND MILD AND MAKES MY SKIN VERY SOFT AFTER USE. IT DOES NOT LATHER VERY MUCH AND IT FEELS LIKE APPLYING SOME GEL ON YOUR SKIN. I HIGHLY HIGHLY RECOMMEND DRY SKIN PEOPLE TO TRY THIS OUT. OVERALL, I AM QUITE HAPPY WITH THE AFFORDABLE PRICE, THE NATURAL INGREDIENTS IN IT AND THE GENTLE AND MILD EVERYDAY CLEANING FUNCTION IT PERFORMS. Nice and honest review. Thanks for the review.